Times of India – NAGPUR: When he burst on to the scene in 2005, Shrikant Wagh resembled Irfan Pathan. The Baroda allrounder had come close to taking all ten wickets in an innings during the Under-19 Asia Cup in 2003-04, when he took nine wickets against Bangladesh. “A scorecard to remember for @Stokesley_CC pro Shrikant Wagh,” said the tweet posted by league’s twitter handle.Wagh’s Stokesley Club teammate James Weighwell, who also plays for Durham County, was mesmerized by his fellow fast bowler’s 10-wicket feat. He should be proud of this and keep working hard to achieve bigger things,” former Indian pacer Subroto Bannerjee, who was Vidarbha’s bowlng coach last year, was quoted as saying by the media in Bangalore on Sunday. The left-arm pacer – who had formed a brilliant new ball pair with India pacer Umesh Yadav around seven years back – had been Vidarbha’s bowling spearhead since last five-six years. 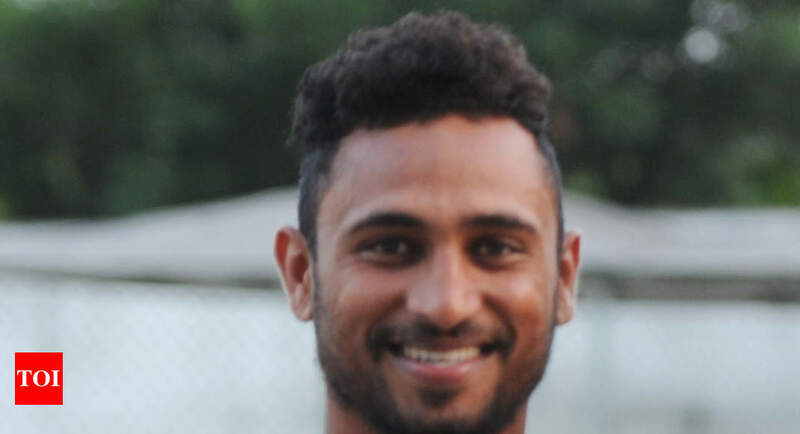 Wagh continued his good form in One-dayers where he was Vidarbha’s most impressive bowler, taking 10 wickets in 5 matches.Ex-Vidarbha coach Sulakshan Kulkarni, under whom Wagh rendered one of his best performances, said the left-armer has matured.